So just how long do you have to exercise to burn the most amount of fat? How many workouts are you doing? If you're already fairly fit and able to push yourself hard through grueling workouts, then you're good to go. You can burn a lot of calories quickly. Now you can't burn it all off at once, because the body will need a break to recover from hard physical exercise so most people will want to train about an hour a day or every other day with some intense or moderate exercise to achieve their fat loss goals. One day a week at minimum should be reserved to recovery fully. Granted you can't push yourself at this level for long, even if you're a rock star athlete, but you can handle a lot more than the average person who hasn't touched a weight in years and their running shoes have long since eroded from lack of use. For everyone else, well, best advice is to do something everyday. Start with whatever you can handle. A 10-minute walk here. A quick bout of stairmaster there. A couple chest presses and lat pulldowns there. Whatever you can handle to start out with and then build up from there. If you're out of shape, just realize it's going to take you longer to build up to a point where you can burn fat like a beast without hurting yourself. This is where people often get discouraged, because they're so far out of shape that they're not capable of working hard enough to burn a lot of fat. That makes this process a lot slower. If you're starting off at a older age you can expect the intensity of exercise to go down, which also doesn't bode well for maximizing your fat loss plans. As we get older we start losing muscle mass, bone mineral density, heart and lung function and we probably have some nagging injuries or just plain feel lousy. That's why weight training is such a big boost for our aging bodies, because it helps us preserve our muscle mass, increase our bone density, while making us less impervious to injuries as long as we are lifting correctly. In this case, it's another slow go towards fat loss. For most people starting training at an older age sometimes focusing on frequency versus length of sessions is better. A couple 20-30 minutes sessions 4 or 6 days a week can add up to some big gains in the matter of a few months without causing too much stress to your overall body and increase your resilience to injury. Example: 10 minutes of light biking or walking, 15 minutes of two to three weight lifting movements focused on those areas we need the most as we age (ie. squats, deadlifts, bench, pulldowns, pushups, rowing motions) and 5-10 minutes of cool down stretching work should be enough to get started. As you get more accustomed to the exercise and you're not excessively sore, progress to a bit more exercises or length of time a couple minutes at a time. This over time and done consistently can definitely burn a large amount of fat in correspondence with eating a nutrient dense diet rich in protein, vegetables and fruit. How intense can you train? Basically this is another question involving work capacity. Just how hard can you push. Obviously if you can move more weight in less time and keep going for a greater amount of time without fatiguing you can burn more calories and therefore more fat overall. This is your work capacity. A person with a high level of work capacity can slug out some good heavy reps on squats and bench press, while still having enough juice to push through some hard assistance work and then do some sprint work at the end. While a person with poor work capacity is going to get through a set of squats, some assistance work and that's about it. More work capacity = greater amount of calorie burn. So a persons goal when they want to burn the most amount of fat should be to increase their overall level of work capacity until they can handle a lot of overall work without fatigue. You can visualize this very easy when you watch the CrossFit games or a pretty advanced athlete slug out reps upon reps of a heavy exercise and keep coming back for more. How much extra non-exercise activity can you accumulate? Exercise scientist call this NEAT (Non-Exercise Activity Thermogenesis), which is basically how much non-exercise related movement a person gets in through there day. This has been shown to be even more important than exercise in some circumstances, since it has a significant impact on overall calories burned throughout the weeks. If you can move more while at work, you're going to burn more overall calories over time. Take this example of simply switching from a seated desk to a standing desk. Studies show that on average you're going to burn 1 calorie per minute at a sitting desk versus 2 calories at a standing desk. Doesn't sound like much does it? 480 minutes/day x 2 calories per minute = 960 calories / day at a standing desk. That's 4800 calories per work week, simply from swapping to a standing desk. It all adds up! And this is a super easy switch. Can you keep pushing the envelope forward? Exercise and activity have to be increased to avoid the body adapting to the workload imposed upon it. The body is incredibly adaptable. It can nearly adapt to any scenario, so if you're stuck in a rut the truth of the matter is you may not be imposing enough exercise stress to cause the body to adapt further than it already has already. This happens a lot to endurance athletes that have a high level of training. Their bodies are so efficient at performing exercise that they burn less overall calories than they previously were at rest and exercising. Therefore they have to continue to perform at a high level or increase that level somehow to burn the same amount of calories. That's what makes resistance training and interval sprinting so valuable, since it's always tough on the body and pushes it to the limit. 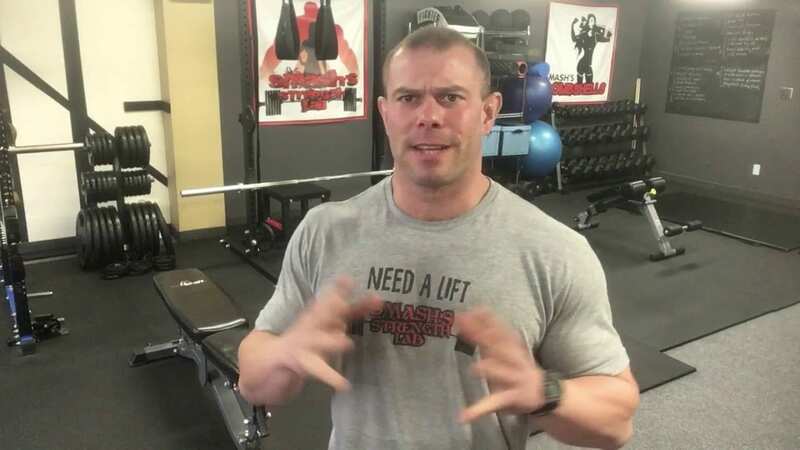 It's always a challenge, as long as correct loads and volume are utilized so you're never quite able to adapt to the stimulus, thus pushing you into a higher intensity level. But there comes a certain point where recovery must be maintained in order to reduce the risk of injury and keep the body operating. You can't burn fat when you're hurt. How long you exercise isn't really the answer, it's more about how consistent you are over time with your exercising and building up to a good level of fitness that you can maintain and keep training hard for the long term. Start off slow, build yourself up, get stronger, lift weights, do cardio, move more and do more each day so you can become a fat burning machine. Then you can afford to enjoy that piece of chocolate cake without feeling guilty. You'll just burn it off throughout the next week. If you enjoyed this piece, please leave me a comment below.